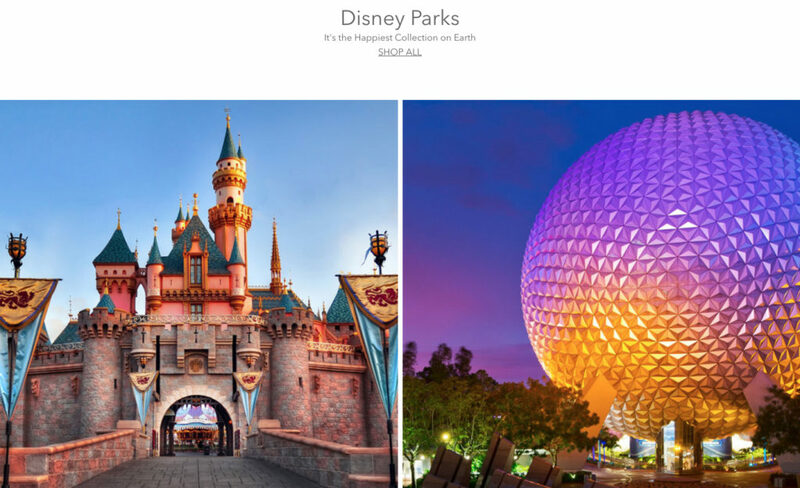 #shopDisney – Shop the Walt Disney Parks! 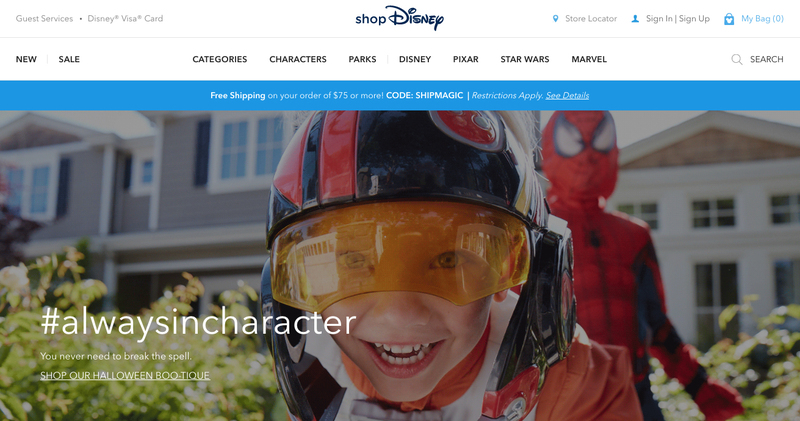 Disney launched shopDisney, a new e-commerce destination offering the best assortment of Disney, Pixar, Star Wars and Marvel products for fans of all ages across fashion, accessories, toys, home and more. A new prototype Disney store design was also revealed and is being tested in select locations around the world bringing the magic of Disney to retail through innovative technology, storytelling and cast member interaction. 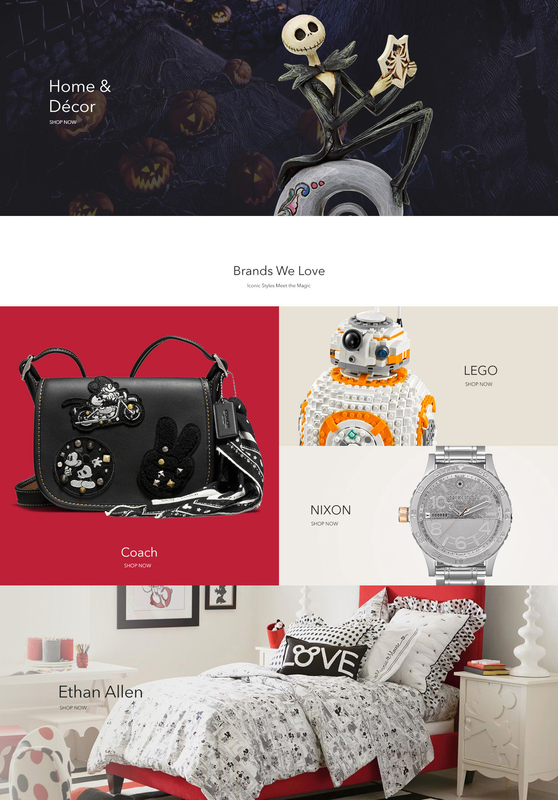 The new product assortment at shopDisney.com reflects the company’s commitment to creating products tailored for different audience demographics, from kids and families to millennials, and to innovating beyond the traditional and expected. 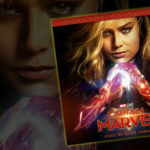 New categories have also been added to round out the assortment including: Trend Fashion & Accessories, Toys, Home, Collectibles and Parks. Longtime fans will be thrilled to find twice the amount of authentic Disney Parks merchandise and ‘Create Your Own’ customizable products as previously available. Co-branded products and elevated collaborations will be featured from brands such as Coach, Le Creuset, Spyder, Steiff, rag & bone and more. New and exclusive capsule collections from fashion-forward brands will regularly be introduced on the site’s shop-in-shop “The IT List”, launching with denim from SIWY featuring Mickey and Minnie Mouse; and Disney Princess and Villain nail wraps from NCLA. Disney stores around the world will also be incorporating more product for guests of all ages, beyond their traditionally child-centric assortment. 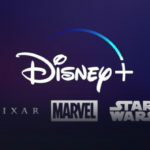 The new prototype stores and site were designed with dynamic layouts that allow flexibility in featuring the different worlds of Disney, Pixar, Star Wars and Marvel as new content comes to market. The look and feel of both shopping destinations is light and contemporary, allowing product and content to shine. 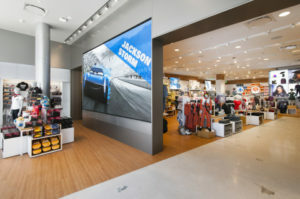 In store, digital elements such as giant LED screens were incorporated for custom-designed guest experiences that reflect Disney’s storytelling tradition. Cast Members and Characters engage with guests in a variety of interactive experiences such as opening the store each day with a special Welcome Celebration, learning and play activities in the stores’ Play Room as well as personalized celebrations for any guest. The most spectacular experiences take place each afternoon when guests gather to watch the parade stream ‘LIVE from Disney Parks’ and every evening before store closing when a specially created digital fireworks display is shown on the giant storefront screen. The new Disney store prototypes are now open in Century City, Calif. and Northridge, Calif. in the US as well as in Nagoya, Japan and Shanghai, China. Two more prototypes will open in 2017: in Miami, Fla. Sept. 28 and Munich, Germany later this year.